M&R's wide variety of on-press equipment reduces demands on the operator while increasing versatility and improving quality and productivity. 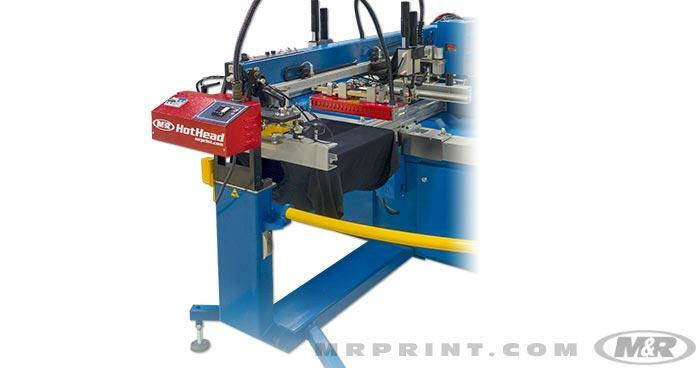 M&R’s HotHead™ fabric compression system gives garment decorators two ways to apply heat and pressure to fabrics for fiber matting, ink smoothing, foil transfer, on-press ink discharging, and other specialty processes. HotHead’s control module mounts on the front of a printhead arm on the press. It uses a multi-function LCD display to set temperature and heater type. The control module works with two heat modules: the HotHead Roller™ applies heat and pressure using a rolling cylinder, and the HotHead FlatIron™ applies heat and pressure by gliding a flat, smooth heating element across the substrate. Kool-Mist™ automatically cools down screen prints and minimizes after-flash tack by applying a high-pressure atomized spray of water and food-grade silicone. Positioning Kool-Mist between the flash cure unit and the next printhead eliminates the need for an open station. 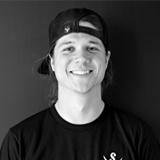 A single proximity switch and mounting bracket make it easy to integrate Kool-Mists with screen printing presses. 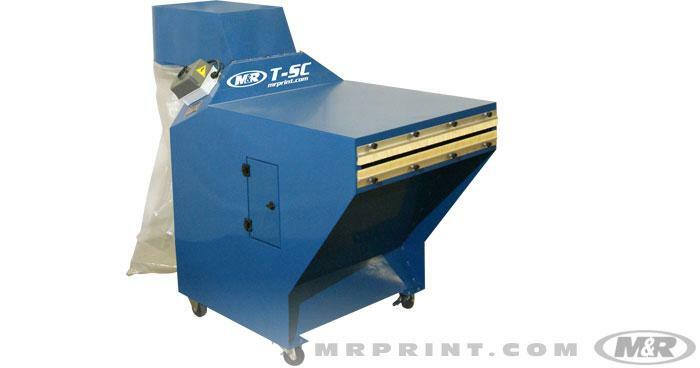 The phenomenal Passport™ is M&R’s patented automatic textile unloader for automatic screen printing presses. 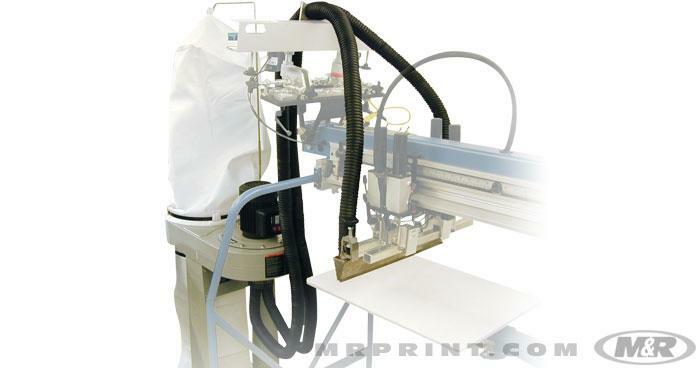 Automatic takeoff systems for graphics have long been a staple of the industry, but the search for a successful automatic takeoff system for T-shirts and other textile substrates remained elusive—until M&R took on the challenge. 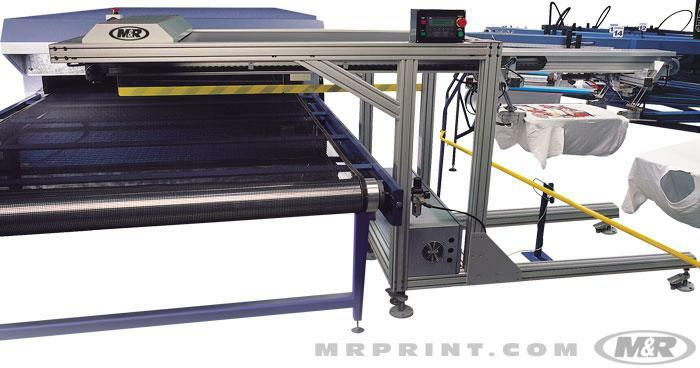 Passport is the first automatic unloader to remove textile substrates quickly, carefully, and consistently. 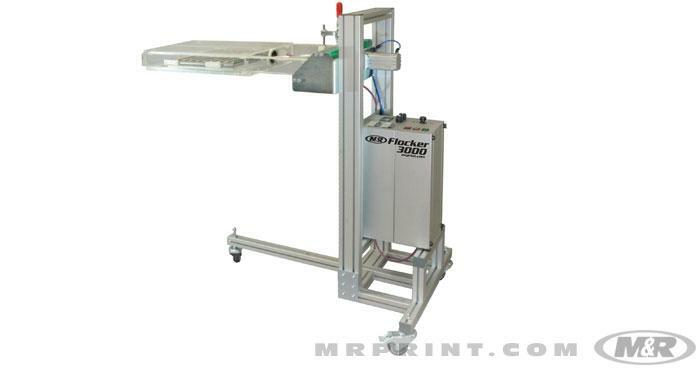 In addition to revolutionizing the takeoff process, Passport dramatically lowers labor costs by reducing the number of people needed to operate a screen printing press. 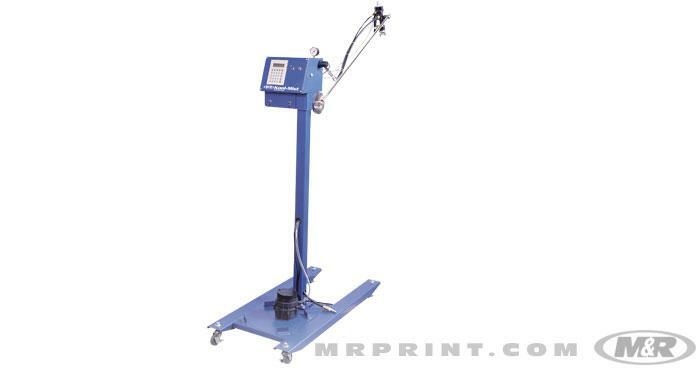 The Turnabout™ automatic ink mixer employs a blade that imparts a lifting and rolling action to screen printing inks. 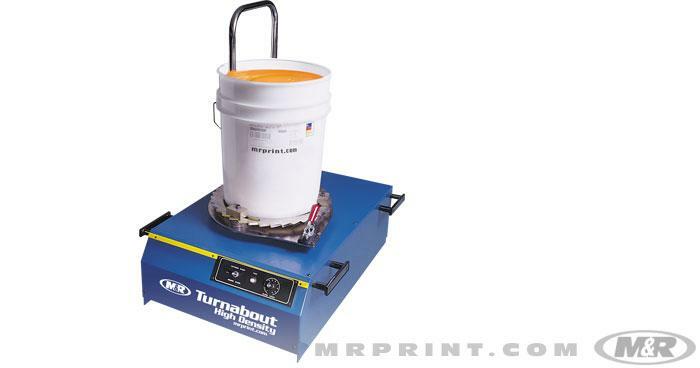 That, coupled with Turnabout’s rotating action, ensures evenly blended inks, even reaching ink that typically settles on the sides and bottoms of containers. The container clamping system is self-centering and adjusts to accommodate a wide range of container sizes.